Jaime Patterson, Managing Partner, is responsible for the strategic development and execution of both client acquisition and marketing for CMK Select. In this role, she is instrumental in securing the firm’s goals for near and long-term business and financial growth. Jaime’s passion for elevating the standard of excellence has enabled CMK Select to strengthen its brand, extend its message, and drive greater value to its clients and the firm. 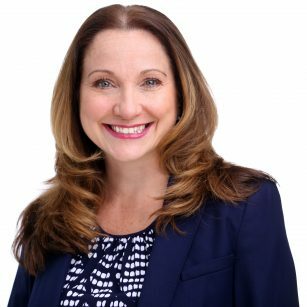 With more than 20 years of professional services experience – including 15 years of partnership with pharmaceutical clients such as Pfizer, Merck, BMS and Novartis – Jaime regularly draws upon her expertise in client acquisition, relationship management and team building to drive programs to success. Her experience with financial and operational strategy and organizational structure allow her to provide overall guidance to a growing organization. Most notably, she brings to the firm a hands-on approach, detail-oriented style and motivational presence. She enjoys an active home life with her husband and two young sons. She is also committed to giving back to the community through her work with the Leukemia & Lymphoma Society and other community service events. In her free time, Jaime enjoys reading a good book, admiring art, and decorating her home.